The NYPD Triathlon team came into existence in 2008 and has recently grown to success and new levels under the new leadership of our Executive Board. Team members have competed in the World Olympic Police and Fire Games and Triathlons through out the United States. During the year 2015 a new influx of team members arrived on the scene. It was the boost the team needed! The camaraderie and interest of others wanting to get involved in the sport was great to see. Many have helped the team grow, both past and present members. The team has become a registered 501(C)(3) charitable organization. The team makes donation to Police families as well as other organizations. Police Officer Tim Stamm is a 15 year veteran of the NYPD. He has recently been assigned to the Office of the Deputy Commissioner of Employee Relations after 14 years working patrol duty in the borough of Queens South. Tim has been competing in the sport of triathlon for 5 years. When Tim came to the team in 2015 he had such a great enthusiastic approach: he was instrumental in making the NYPD Triathlon team what it is today. Tim is a three time Ironman, he has also competed in 6 Half-Ironman distance events, and was a 2016 and 2017 sprint distance Nationals qualifier. Tim's 2019 schedule includes Ironman VA 70.3, NYC Olympic Tri, Ironman AC 70.3, and other shorter distance races. Retired NYPD Detective Fred Caravousanos started his Law enforcement career in 1988. Fred has been a member of the NYPD Triathlon team and competing in triathlons since 2010. Fred has competed in the Olympic World Police and Fire Games, 5 Ironman events, long distance swimming events, and shorter distance triathlon events. In 2018 Fred qualified for the Sprint Age Group Nationals. Fred’s 2019 schedule includes Ironman VA 70.3, NYC Olympic Tri, Ironman Arizona 140.6, and other shorter race distances. Police Officer Steve Intrabartola is a 3 year veteran of the NYPD and currently works in Queens. Steve began racing triathlons in 2015 after being introduced to the sport by his wife Erin. The couple completed their first Ironman 140.6 event in Louisville late in 2018. Steve also competes in many smaller distance triathlon events through out the year. Police Officer Rob Pollastro is a 3 year veteran of the NYPD who works in the 70 Precinct in Brooklyn. Rob has an extensive resume for collegiate swimming. Rob swam Division 1 in College and set 5 school records. Rob has only been competing in Triathlon for 2 years and has raced Ironman Louisville 140.6, and other short distance triathlon events. Rob qualified for USA Age Group Nationals twice. The team likes to call him “The Mako”, and you’ll know why we call him that when you see him swim. Police Officer Matthew Romano is a 13 year veteran of the NYPD and has recently accepted a position in the Nassau County Police Department, a neighboring suburb of NYC. Matt is a lifelong competitive lacrosse player. 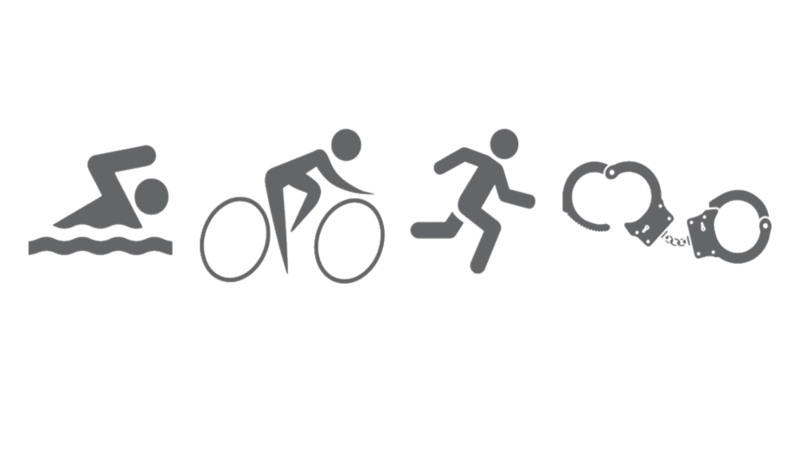 This will be Matt’s fifth season competing in the sport of triathlon. Matthew firmly believes that with hard work, proper nutrition and support of friends and family, anything can be achieved. Matt has competed in two Ironman 140.6 events, Florida and Louisville, as well as multiple Half Iron distance and shorter distance triathlon events. Police Officer Dan Wick is a 13 year veteran of the NYPD who currently works in Queens County. In 2017 Dan got into the sport of triathlon after he suffered a life changing injury of a collapsed lung. Doctors told him his life would change from that time forward. One day he decided to challenge himself, and prove to himself that he could accomplish anything with the right mindset and determination. Dan has adopted the motto and made it his mission, “Life’s short, enjoy the journey”. Dan has competed in three Ironman events, and other shorter distance races. Dan’s 2019 schedule includes Ironman VA 70.3, Ironman AC 70.3, Ironman Arizona 140.6, and other shorter distance races. Dr. Ronald Masone has his Doctorate degree in Physical Therapy. Dr. Ron is the team Physical therapist for the team, he is a licensed Physical Therapist. He is also a Certified Strength and Conditioning Specialist, and has many other areas of expertise. Dr. Ron is at most of our races before and after and makes sure we are stretched out and helps us with our Physical Therapy needs. Doc. Ron is also a 2 time Ironman finisher, 6 time half Ironman finisher along with many short distance races. He achieved the status of Ironman All World Athlete in 2018. Dr. Masone is part owner of Block Sports Chiropractic and Physical Therapy with 2 offices, Smithtown and Selden. Check out the link on our page.